What is an online wallet service and why this may be the future of VirtualCoin? An online wallet is exactly like a online banking, the wallet give you the tools to manage your cryptocurrency online, from any device you want. 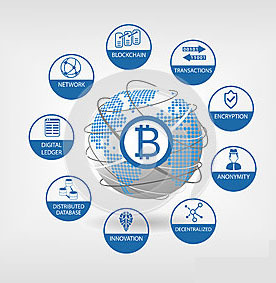 You can own your bitcoin address without install any software on your PC, table, smartphone, the only need is to register on VirtualCoin and generate your address for your favorite currency in the profile page. Like an online banking you can receive money on your address and send money outside the wallet, this is the so called blockchain transation, every bitcoin transaction onchain has its own TXid and a fee must be paid. On VirtualCoin online wallet, you can own and manage multiple cryptocurrency, you can see your balances, transfer money inside or outside your account, see your transaction history. From your account page you can manage your profile and secure your access with password and PIN, in the near future with a 2FA. Actually VirtualCoin support multiple cryptocurrencies, the most famous Bitcoin (BTC) and Litecoin (LTC), and some less like Namecoin (NMC), Primecoin (XPM), Peercoin (PPC), Feathercoin (FTC), Dogecoin (DOGE), Mooncoin (MOON), Dashcoin (DASH), Opensourcecoin (OSC) and Zetacoin (ZET). At the date we are evaluating to give support to Ethereum (ETH) and or more altcoins.